Wilbur Kendig Shoemaker, 94, of Lancaster, passed away at home, holding the hand of his loving wife, the day after their 72nd wedding anniversary on Saturday, June 9, 2018. He was the son of the late Amon and Bessie Kendig Shoemaker and married Dorothy Hess Shoemaker in 1946. He was a humble giant of a man with a gentle, sweet soul. He was a husband, father, and a mentor to many through his words and deeds. Always quick to laugh, he truly enjoyed life to the fullest. His curiosity was insatiable, especially about how things work. Wilbur was generous and always ready to lend a hand or share his knowledge and insight. A Navy Veteran, he served in World War II in the Pacific. He was a businessman and entrepreneur, and owned Conestoga Heating & Plumbing Supply. He graduated from Elizabethtown College and even served on the board there for many years. Wilbur also served on the board of the Lancaster Osteopathic Hospital. 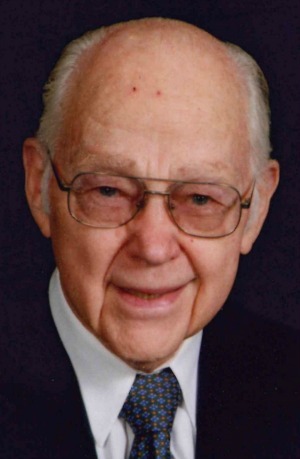 A longtime member of First Presbyterian Church, he served as an Elder and Trustee. Prior to moving to Lancaster, Wilbur was a member, Elder, and Deacon at the English Presbyterian Church in Marietta, PA, where he was also a Sunday School Teacher. He enjoyed traveling the world with his wife. But most of all, he enjoyed his family. Surviving besides his wife are his son; W. Kenneth Shoemaker (Judi), his daughter; Kathleen Nazar (Barry), four grandchildren; Scott Nazar (Lisa), Meredith Nazar Groff (Chad), Megan Nazar Lanigan (Joseph), and Tim Foley, 7 great-grandchildren; Mary Kate, Amelia, and Charlotte Nazar, Jordyn Pedia, Connor Groff, Elliott and Eliza Lanigan. He is also survived by his younger sister Olive Keener. A memorial service will be held on Friday, June 22, 2018 at 11:00AM at First Presbyterian Church, 140 E. Orange St., Lancaster, PA 17602. Friends may greet the family from 10:00 AM until the time of service. In lieu of flowers, memorial contributions may be made to First Presbyterian Church or to Hospice and Community Care, 685 Good Dr, P.O. Box 4125, Lancaster, PA 17604. Mark Haldeman, President, Haldeman Mechanical Inc. I was starting out in my own business in 1982, and Wilber took the chance on me by giving credit at Conestoga Supply to buy product. He then mentored me in those early years, helping me to understand how to make good decisions, setting me up with the right people and product. I haven’t seen Wilbur in many years, but have thought of him often, and know we’ll meet again ‘on the other side’. God bless you Wilbur as you’ve blessed me, and God bless the family. Wib was a great asset to the Elizabethtown College Board of Trustees. Optimistic, generous, gregarious and faithful to our cause, he provided great balance in all our discussions. Betty and I were privileged to call him both friend and colleague, and we will miss him greatly. My empathy to the family. He was a kind and gentle soul. I was blessed to know him. May the peace that surpasses all understanding guard your hearts during this time of sorrow. May the good Lord surround your family with his love. I am sincerely sorry for your family’s loss of Wilbur. May you find comfort in God’s promise to reunite us with our dear loved ones, to perfect life on a paradise earth. As you contemplate this promise, draw close to God in prayer and he will draw close to you and provide the needed strength to carry you through the difficult days ahead. All the best wishes for your family at this time, take care. To the dear Shoemaker Family — as we all know, Wib was such a special guy and your beautiful tribute to him does justice to his princely character. He was a man without guile and so very genuine in his welcome. Thank you for highlighting his curiosity which, along with his childlike wonder, helped you appreciate the great gift of life. Don and I will always be thankful for the privilege and joy of knowing Wib. So sorry for the loss of your father. I remember him and your mother. You probably don’t remember me, but I remember you, and staying overnight once at your house. Hi Linda. Of course I remember you. I remember running around Baytown trick or treating n giving u buttered noodles at lunch n much more fun times. Hope to see you at our high school reun ok on. Thank you so much for your warm and comforting note. I’m sorry to say that, in the midst of summer’s activity, I missed the notice of Wib’s passing. He was the kindest, most genuine man I’ve ever known. He and Dotty always opened their hearts to the children who attended Kids Kamp and the Future Generations after-school program. I remember Wib telling me how he never had toys as a child, but he didn’t say that with sadness or bitterness. He saw it as a blessing. He’d take a block of wood and use his imagination to turn it into a truck or plane or sailing ship. It’s what he continued to do all of his life – use his kind and curious nature to make something good from whatever the world handed him. Every time I drive by their home, I think of the warm smiles on Wib’s and Dotty’s faces. We need so much of their humble kindness in the world today. I hope we can all find ways to walk in their footsteps. My sympathies to the family. Wib’s passing is a great loss, but he left behind plenty of love to fill the void.